在 PalmAddicts 看到, 超簡潔的 Google.. Version 1.11: Fix embarrassing bug that caused dbs to be deleted right after installation! AND Thanks to Forum PalmIsLife.com for discuss this version! 就是現在在 Treo650 上用得很順手的版本吧, Palmgear 正式公開! 在 Windows Mobile 上執行 Palm 軟體, 我真的很好奇啊! 6.3 adds better support for the 5-way button. Palm 和 Audi 藍芽結合... 嗯, 看來買 Audi 的車主都該擁有一支 Treo650, 或是所有 Treo650 用家都該擁有一部 Audi? bambon 在 PIL 這個討論串最後發表了支援 Treo 五向鍵的 SrcBtn, 真的超棒! TH55 也可以跑 Opera Mini 喔! World's first Linux "PDA phone" on the way? Treonauts: First Treo 700 Image? 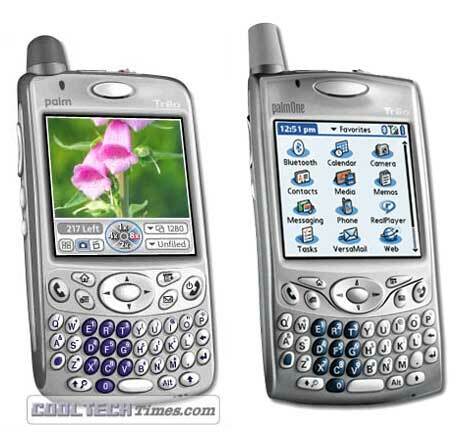 幻影... 下一代 Palm OS treo. 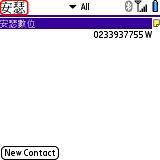 Treo650 Contacts 之 Mission "Possible"
用這個 PHP script 把網頁加工一下, 手持裝置會更容易瀏覽喔! MetrO online updater: 線上更新 MetrO 資料, 看來不錯! This version uses an alternate way of hooking the 'hede' notification (i.e., the event queue) that uses less CPU time. This fixes the DocsToGo slowdown problem reported by a few users, and should hopefully be a bit more reliable than the method I used in 1.2b2. 密技: 去除 TE 的 noice, 用到一個叫 WarpSpeed 的軟體... 但是, 請仔細閱讀該文, 弄不好的話要 hard reset!